I remember being a little girl and having my mama tuck me into bed on cold Christmas Eve nights. I would lay there for what seemed like hours because I was simply too excited to sleep! I just couldn’t get over all the holiday festivities that had been going on that day and the anticipation that the morning held. Now that I’m a mom and the one tucking my kiddos into bed at night, I’ve had to learn how to deal with the rush that Christmas morning brings for them, just like it did me. You see, we have this fun family tradition going on that consists of spending the night with my parents on Christmas Eve and waking early in the morning to celebrate the holiday with them. This seemed like a good idea at first when I only had 1 or 2 littles, but now that we have four and are all camped out in one room together, I’m rethinking the “good idea” part… especially when they are overly excited and can’t seem to settle down enough to go to sleep. 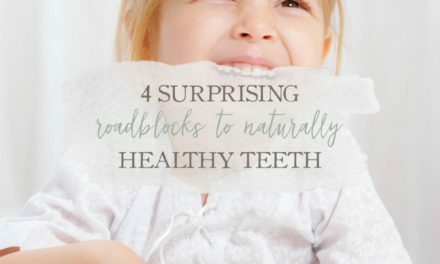 So, instead of drugging them with Benedryl, which I admit, I have considered a time or two, instead, I’ve gathered some great natural methods to help easy my four boys to sleep. Today I want to share these with you in case you, like me, don’t want to drug your kids or fight with them about going to sleep all. night. long. 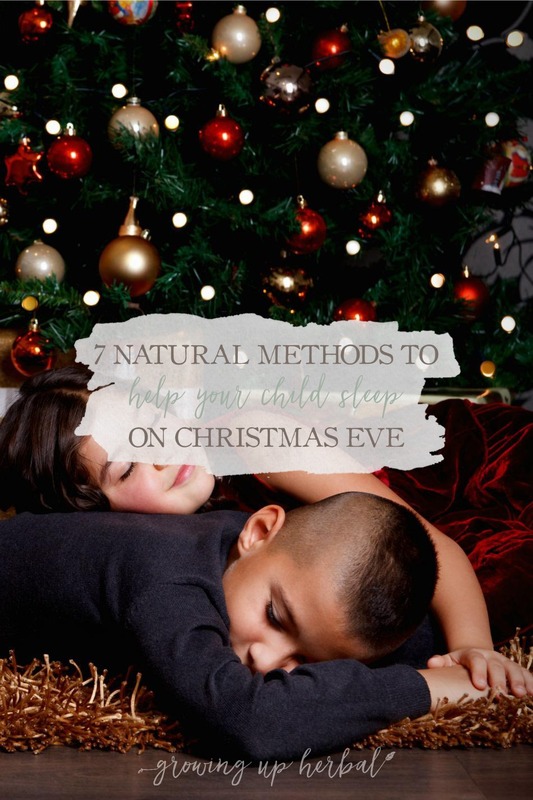 Below you’ll find 7 methods I use to help my kids get to sleep naturally on nights where sleep is difficult for them. And no, this isn’t just for Christmas Eve. You can use these methods anytime you need help getting your little ones to hit the sack. Christmas Eve is a busy day for us from start to finish. First, it’s my birthday so we’re always celebrating all day long for that reason alone. Next, my Dad’s side of the family gets together on Christmas Eve to spend time together, catch up, and celebrate the holiday so there’s a lot of food, fun, and gift giving going around in the late evening. By the time we get to my parents house, it’s dark, the kids are wired, and they’re ready for more fun. This is where our “Christmas Eve routine” has stemmed from. We needed to find a way to keep the night fun and memorable without adding to the excitement that keeps them from sleeping. The first thing we do is to start winding things down early. For starters, we don’t bring toys they received that night in from the car. That cuts down on wanting to play too much right there. Next, the kids get one present from Me-maw and Pa-paw to open before bed. It’s the same thing every year, and they love it. A new pair of (prewashed) Christmas pajamas! Now on to the rest of our routine and natural sleep methods! 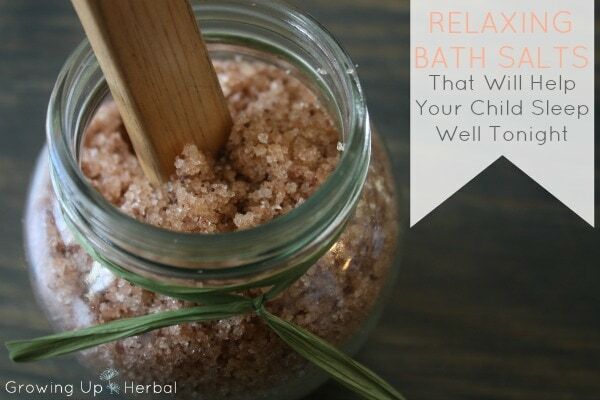 Next up is a warm bath with relaxing bath salts! All of my kids, except the oldest, likes playing in the bath with toys so after they’ve opened their Christmas jammies they head off for a warm bath full of relaxing bath salts and a few toys. Now, a bath alone will normally help my kids to settle down before bed, but when I add in these mineral rich salts and relaxing essential oils, it works even better. After the boy’s baths, they rub on their herbal body oil, put their new jammies on, and head to the couch for tea and story time! 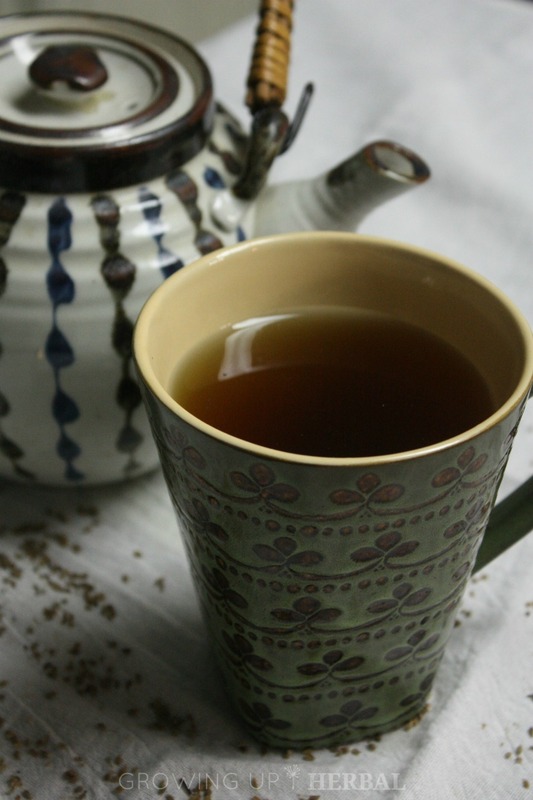 The next thing we do to help kids relax and settle into sleep is to make them a cup of bedtime herbal tea with warm milk to drink about an hour before bed. If you blend a few relaxing herbs together, let them steep for 10 minutes or so, add some honey to sweeten it, and top it off with a couple tablespoons of milk, it can work wonders of helping your children calm down, feel warm and cozy and prep for a good nights sleep. 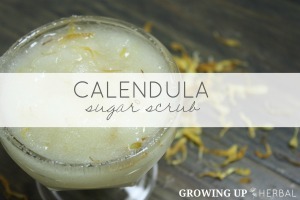 Here’s a great blend for little ones that works really well before bed. Use 1 tablespoon of herbs to 8 ounces of boiled water. Sweeten tea with honey and a touch of milk. Enjoy one cup an hour before bed. Once the boys have their cups of tea, they settle onto the couch with Dad to have a Christmas story read to them. You see, I like to torture myself, so the week before Christmas I attempt to take all four of my kids to the library to find some new Christmas stories to be read to them on Christmas Eve night. Most times we barely make it out alive, and every year I wonder why oh why I ever thought that bringing four kids into the library all at the same time while trying to find new books, keep them all quiet and in one place was a good idea. In fact, forget Christmas… I wonder that every single time I take them to the library, but for some reason I never learn my lesson! I’m hard-headed I guess. Oh well. Most times, we’re lucky to come out with 1-2 new Christmas books… if any, before I’ve had all I can take. If we do end up leaving with no new books, we default back to the classics like Twas the Night Before Christmas, How The Grinch Stole Christmas, The Snowman, or Mary Did You Know. No matter what we read though, curling up on the couch with a good book, a cup of hot herbal tea, and lots of pillows and blankets is a great way to wind down for the night! Once the tea is drunk, the books are read, and we’ve had some time to talk about what Christmas means, it’s time for the boys to head off to bed. Our boys camp out on the floor with sleeping bags, pillows, and extra blankets. It’s a fun time for them to get tucked in while the Christmas music is playing softly on the radio and bedtime prayers are said. Now after all the things we do in our Christmas Eve routine to help them relax and settle down, they still don’t like going to sleep in complete darkness. So what’s a mama to do? 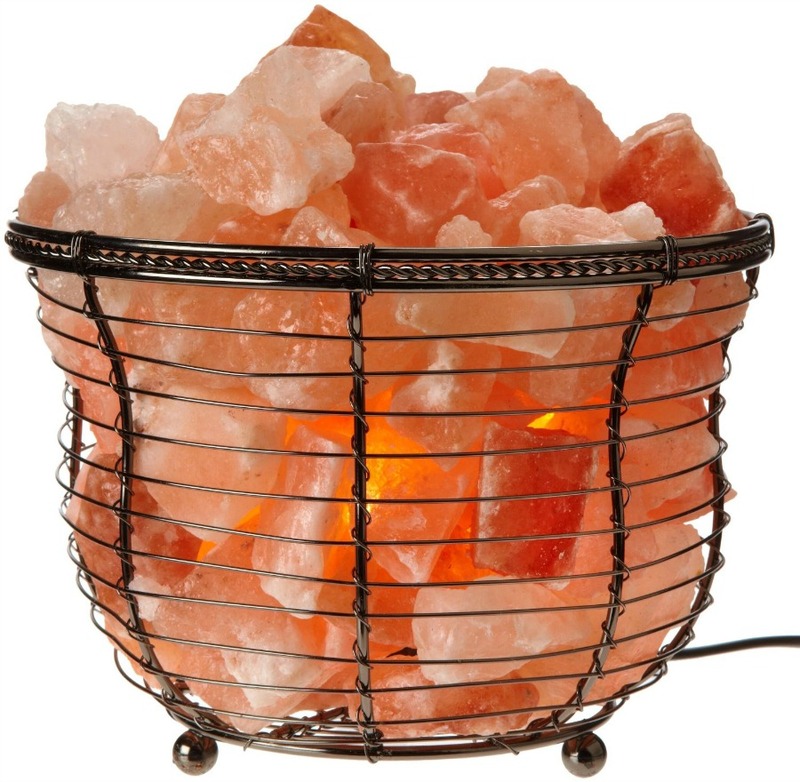 Why, turn on the Himalayan salt lamp, that’s what! Salt lamps are great for helping kids who need a little bit of light fall asleep without causing a situation that suppresses the release of melatonin (a chemical that tells your body it’s time for bed) as they emit orange light instead of blue light. Basically, blue light tricks your body into thinking it’s still daytime, therefore it doesn’t get that release of melatonin telling it to relax and go to sleep. Orange light, on the other hand, doesn’t do this so it’s better to limit things that emit blue light as much as possible before bed. Sure it’s still better to sleep in complete darkness, but I’m okay leaving this light on when we put the kids to bed. It has a dimmer switch I turn the light down low and turn it completely off when Dad and I come to bed a little later. I’m a big fan of diffusing essential oils. Not only is diffusing one of the best ways to gain the benefits of essential oils, but it’s one of the safest for children as well. When the boys go to bed on Christmas Eve night, the diffuser is always running in intermittent bursts for about an hour diffusion some nice relaxing essential oils into the air. 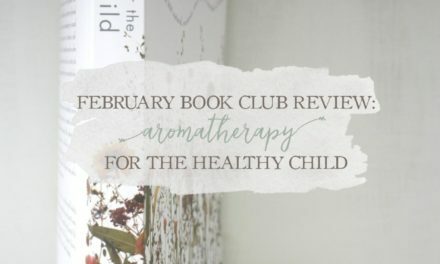 This year, I’m trying something new and bringing my new bottle of Calming The Child from Plant Therapy’s KidSafe synergy line with me. I’ll add 8 or so drops in the diffuser when I tuck my kids in and let it go. Not only will this relax them, but it will also create a scent memory for them that they’ll remember year after year. How sweet is that?! The last thing Dad and I do with the kids before heading out of the room is to coach them through taking some deep breaths. Taking deep breaths has always been one of the parenting tools we’ve used to relax our kids. I remember when Judah, my oldest, was just a little guy. He’d get upset over something and we’d tell him to take three deep breaths, showing him how and doing it with him. By the time we were finished, he was all done with whatever had upset him. I guess we saw such good results with him and deep breathing that we continued to do that any time one of our kids needed to calm down. This works especially well when they’re all tucked into their sleeping bags and the essential oils are diffusing in the room. Taking big, deep breaths not only helps to relax and calm them, but they breathe in the essential oils deeply which helps them work better too. So there you have it. 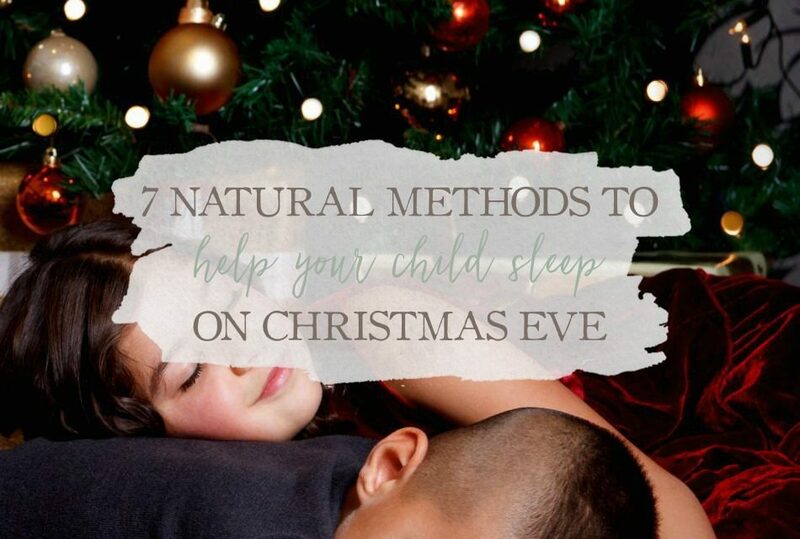 Our Christmas Eve bedtime routine that’s full of natural methods to help our children get off to sleep easily. So what about you? Do you have any tricks up your sleeve that you use to help your kiddos wind down, relax, and get to sleep when they’re really excited? Share with me in the comment section below. I can’t wait to hear what works for you, mama! PreviousGiveaway: Win A Fun Herbal Board Game… Just In Time For Christmas! 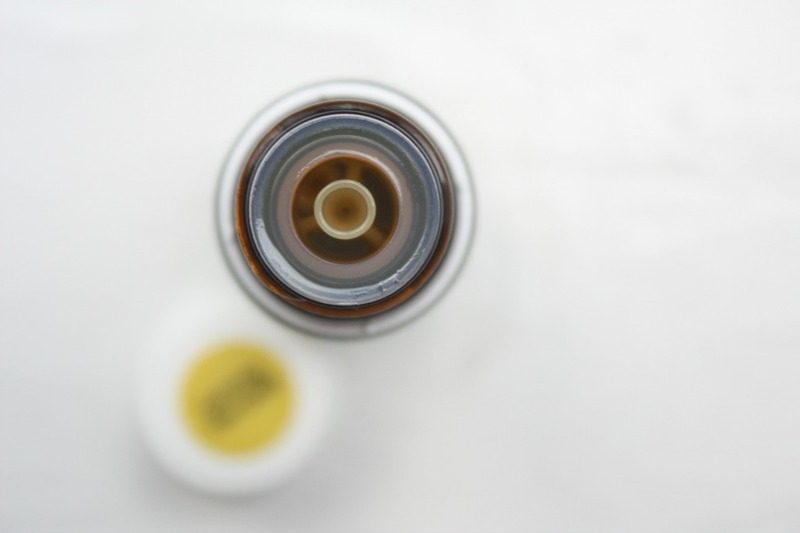 I use lemon balm tincture that I make to help mine wind down. Love your suggestions! That’s a great one Jill. I don’t use it as often as I could for calming down, but I have a TON of it growing in my herb bed. I’m thinking of trying to make a hydrosol out of it next year and get the essential oil from it since melissa essential oil is so expensive. Here’s hoping it works!